Limousines and car services must stage along Irving Park Road. All pickups must occur on Irving Park Road between Clark and Seminary (East of Clark). The lights at Wrigley Field will be on throughout the week as the Concert Setup/Takedown takes place. Lights will be on overnight on August 24th into August 25th. Lights will be on to at least 11pm on August 25th, August 26th, August 28th and August 30th. On the show days of August 27th and August 29th, the lights will be on OVERNIGHT. Sound & Lighting Checks. Sound and Lighting Checks are anticipated on Wednesday August 26th and Friday, August 28th and will be completed by 10pm. Sound checks should also be anticipated on the day of each concert. Concert Day Highlights. 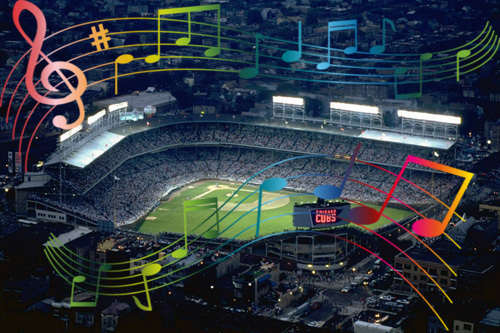 The Cubs Hotline will be open One Hour before until Two Hours after the concerts (1-866-427-3869). Residents are encouraged to contact either the Night Game Hotline or 911 to report problems and issues." The full newsletter is here.